“Frozen” is now playing at Point, Eastgate and Star Cinema. PG, 1:25, three and a half stars out of four. Disney’s “Frozen” is set in a faraway kingdom suffering under a curse of eternal winter, plagued by subzero temperatures and frozen lakes. To which I say, sitting here in Wisconsin, I’ll bet that must be pretty rough on you there, faraway kingdom. But even the most diehard winter-hater will feel the thaw almost instantly from “Frozen,” an absolutely delightful animated movie that shows that when the Mouse House is on its game, it has no peer. 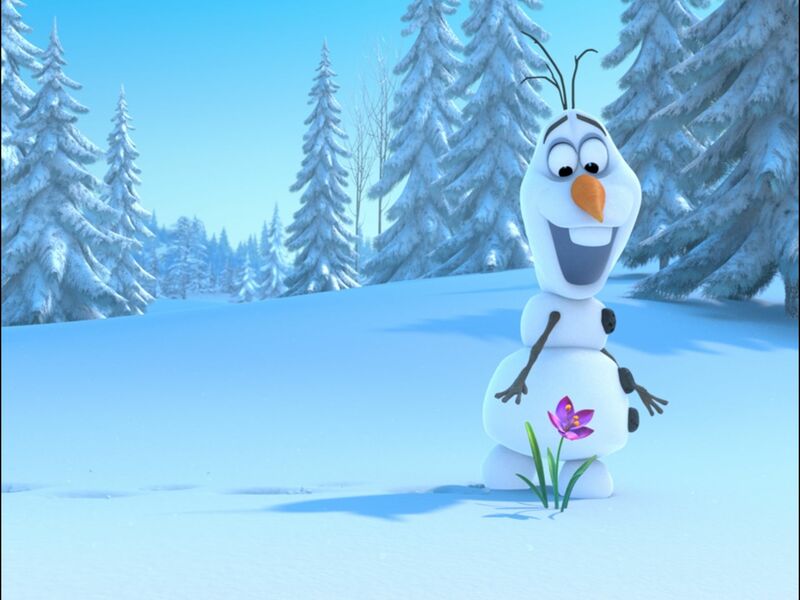 Although it’s been admittedly a rather weak year, “Frozen” is far and away the best animated movie of 2013. It’s not even close. Before “Frozen,” there’s a charming new Mickey Mouse short, “Get a Horse!” that exactingly evokes the look and feel of an old black-and-white Mickey cartoon — until it busts through the frame and into full-color 3D. Besides being a lot of fun, the short could serve as a mission statement for what Disney hopes to achieve with movies like “Tangled” and now “Frozen” — take the essence of what Disney does best and connect it to cutting edge 21st-century animation, both in terms of visual marvels and of more complex storytelling. In the case of “Frozen,” it’s shaking up the usual princess movie formula, in which the girl breaks out in song, talks to the animals, and needs to be rescued by a kiss from a handsome prince. Those elements are there in Jennifer Lee’s witty screenplay (she also co-directed with Chris Buck, making her the first woman ever to direct a Disney animated feature. Which is crazy.). But they’re given a series of surprising twists, as characters deepen and defy their own expectations as well as those of the audience. It makes for a more relevant kind of Disney movie — as well as a lot of fun. 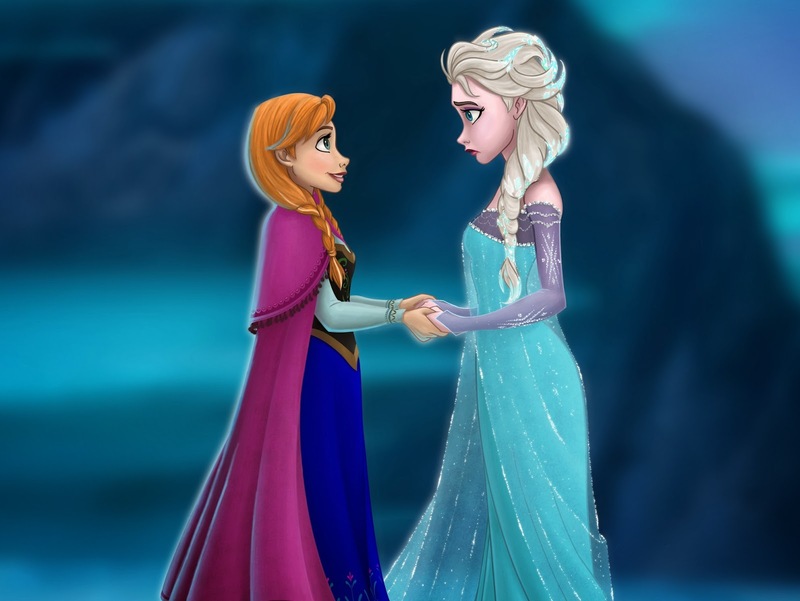 Anna (Kristen Bell) and Elsa (Idina Menzel) are inseparable sisters when they are young; older sister Elsa has the ability to conjure up winter from her fingers — fluffy snowdrifts and snowflakes when she’s happy, jagged icicles when she’s angry or frightened. When a misfire injures Anna, a terrified Elsa agrees to keep her powers under wraps, which also means wiping Anna’s memory and pushing her away. The sisters — cold, distant elsa and impulsive Anna — grow up estranged, and when Elsa ascends to the throne, Anna tries and fails to reconnect. Leaving Hans in charge of the kingdom, Anna sets off into the mountains to reason with Elsa, aided by kindly mountain man Kristoff (Jonathan Groff), his puppy-like reindeer Sven, and cheerful talking snowman Olaf (Josh Gad). Gad (“Book of Mormon”) makes Olaf one of the funniest and most original animated creations in years, a buck-toothed, good-hearted guy who tells everyone he “likes warm hugs,” and is happily oblivious to the fact that, when winter goes, he goes too. Olaf even has a riotous musical number where he fantasizes about doing all the things that snowmen do in the summertime. What happens next I won’t spoil, although I was definitely surprised at a couple of turns of the storyline. In the end, “Frozen” turns out to be less about handsome princes and true love and more about the enduring bond between sisters. This is a rare animated film that would actually pass the “Bechdel Test” — the test created by graphic novelist Alison Bechdel, which asks whether a movie has two female characters talking about something besides a man. The whole enterprise is buoyed by eight terrific songs by the Broadway producing team of Kristen Anderson-Lopez and Robert Lopez, mixing emotion and sly wit in ways that recall classic Disney musicals. They might as well start working on the Broadway stage adaptation of “Frozen” now (and probably are). The film is also just gorgeous to look at — I saw it in 2D, but the blue-silver winter landscape, with the frozen fractals of Elsa’s ice palace and the fluffy piles of snow everywhere, make for a distinctive visual look that must really pop in 3D. And it may be worth springing for the upgrade to see it again — it’s going to be a long winter, and we need as many great movies like “Frozen” as we can get to get us through it.